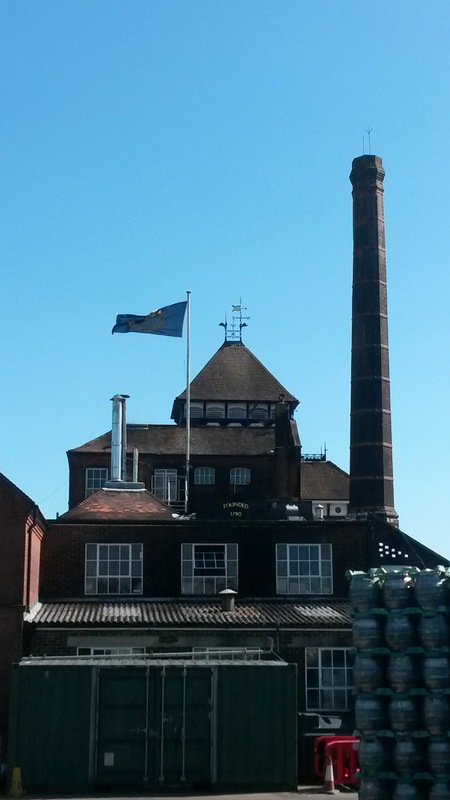 A message on Harveys’ own website from their Head Brewer, Miles Jenner, points out that the waiting list for tours of Lewes’ famous brewery has now exceeded two years. I was incredibly lucky, therefore, to receive a personal tour of the place that he quite clearly loves to bits from Mr Jenner himself. After a spot of lunch with Miles at the John Harvey Tavern nearby, our tour started alongside the red-brick brewery buildings, above the point where water is tapped from deep below ground. ‘AQUA HARVAE’ is the inscription on an attractive octagonal structure dating from 2010 above one of the wells. Getting the fresh water to the top of the brewery’s distinctive Gothic tower is the first step in the brewing process. Harveys dates back to the late 18th century when John Harvey was a wine and spirit merchant in the Lewes area. After operating as a brewer nearby, he purchased the current site in 1838 for £3,100. Hamish Elder, a seventh generation descendent, is currently Chairman and Joint MD (alongside Miles). An eighth generation relative, Zoë Prescott, works for the company too. Miles joined in 1980 as Third Brewer after graduating in History a few years earlier. He was Head Brewer by 1986 and follows in the footsteps of his father, Anthony Jenner. I’d love to write more about the tour but space here doesn’t permit it. Essentially once water reaches a large tank at the top of the main tower, gravity takes it through the next steps which include mashing with malted barley (in a ‘mash tun’), boiling with hops, fermenting and barrelling (in steel barrels – wood was withdrawn during the 1970s). 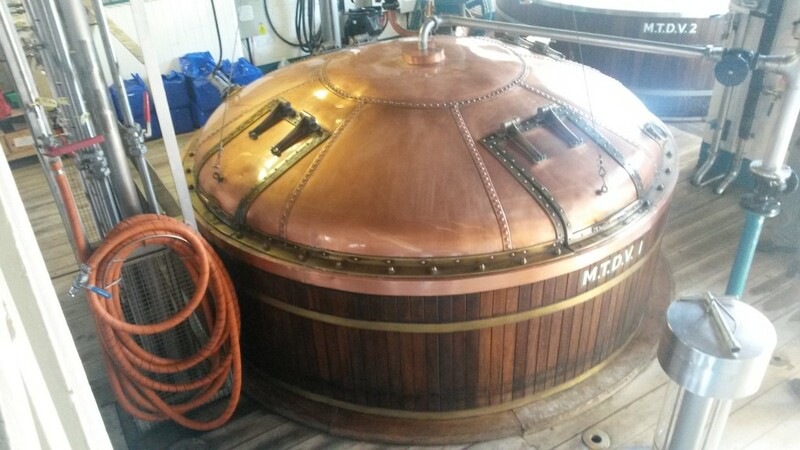 The ‘macaroni head’ at the fermenting stage was particularly memorable as was the view inside the empty ‘coppers’. Tuesday-Friday are brewing days with cleaning on Mondays. There are no doubt pros and cons to running an advanced brewing business from a listed historic building. Such a structure is highly challenging to both modify and maintain. Serious effort was made during the 1980s, for example, to add a tower-like protrusion so that capacity could be doubled. The result is fantastic and the new part looks quite at home on Harveys’ marketing material throughout Sussex, Surrey and Kent. The effectiveness of the building itself as an advert shouldn’t be underestimated –which is baked up by the lack of signage on the firm’s modern distribution yard nearby.